The gender gap in higher education has widened further in Finland. While nearly every second 30—34-year-old woman in the country had a higher education degree in 2012, fewer than one in three of their male contemporaries did. In the age bracket, the gap has thereby widened to over 17 percentage points. In older age groups, however, the gender gap remains notably narrower. Of the 50—55-year-old population, 20 per cent of women and 18 per cent of men had a higher education degree in 2012. Men over the age of 55, in turn, were notably more highly-educated than their female contemporaries, indicate statistics published yesterday by Statistics Finland to commemorate the seventh annual Minna Canth Day. - There were 618 over 100-year-old women but only 91 over 100-year-old men in Finland. - The life expectancy for a newborn girl was 83.4 years, but for a newborn boy it was only 77.5 years. - 87 per cent of Thai citizens living in Finland were women; 74 per cent of Italian citizens were men. - Roughly one in five 40-year-old men were single. Only one in ten of their female contemporaries were single. - On an average, fathers received 81.4 euros but women only 58.7 euros per day in parental allowance. - 72 per cent of employees in the public sector were women; 60 per cent of employees in the private sector were men. In 2012, 54 per cent of students at higher education institutions in Finland were women. The dominance of women increases further when looking at completed degrees, with 60 per cent of the degrees completed that year being granted to women. On the other hand, conventional gender roles seem to continue to govern the choices of young Finns. 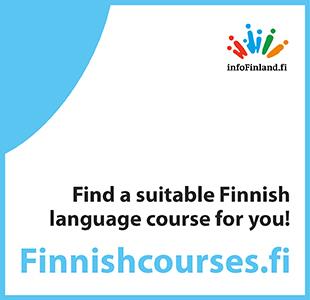 The publication by Statistics Finland – Women and Men in Finland – indicates that women are still drawn particularly to the so-called soft sciences. In further and higher education, women accounted for 89 per cent of the degrees completed in the field of social and health care in 2012. The field of education and teaching was similarly dominated by women, who were granted 77 per cent of the degrees that year. 69 per cent of the degrees completed in the service sector were completed by women. Men, contrastively, continue to be drawn to hard sciences and in 2012 accounted for 94 per cent of the degrees completed in technical fields, 66 per cent of the degrees in the field of agriculture and forestry, and 58 per cent of the degrees in natural sciences. In addition, conventional gender roles are manifested in university admissions, with women accounting for 74 per cent of students in degree programmes in humanities. Similarly, nearly two-thirds of medical and dentistry students were women in 2012. In recent years, the gender balance has also shifted in the favour of women among law students. In contrast, nearly 80 per cent of students in the field of technology were men.